Ain’t no Wednesday Bubble this week. Granted, I thought about sharing news of a study about spa and your health. Or discussing how many calories Americans are actually drinking. Or, providing you with healthy Thanksgiving meal tips. Instead, I felt it was more important to share that I am truly thankful that you take the time out of your schedules to read Flashfree. Truly thankful. And truly happy. 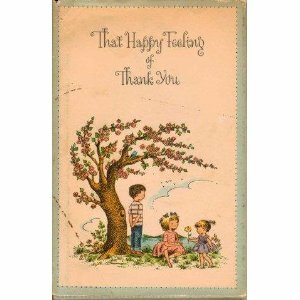 I had a book when I was growing up entitled “That Happy Feeling of Thank You.” I still have it. And sometimes I secretly linger in its battered pages and just pause for a moment. Seriously, take a moment and think about it. Me? Although this has been one of the most challenging years in my entire career, with little time to breathe, I am eternally grateful for the work and income, for my friends who have put up with my crankies and my long absences, and for the few who’ve consistently held me up. You know who you are. Thanksgiving really isn’t about eating; it’s about sharing and celebrating the gifts in our lives that really matter. My sister in law Wendy Scherer is a baker (that is, when she is not being an amazing mom, a wife and crunching social data all day long). For my birthday this year, she baked me a beautiful three berry pie. And she regularly posts images of her creations – a challah for Sabbath, a Tuscan Ricotto Bread, you name it. 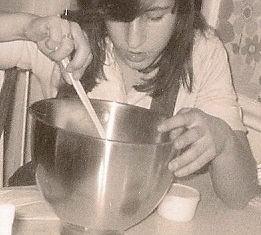 But Wendy bakes when she is stressed. And of late, I’ve noticed that she has ramped up her baking. And I’m wondering if I should try it too. She wrote this a few years back and it still resonates. Wendy blogs at Finding Blanche http://findingblanche and photoblogs at http://wendyscherer.com. She is principal of The Social Studies Group. What woman has changed your world…or hers’? When it comes to advocacy, I’ve got soft spot in my heart for women. That’s why I’ve spent at least three days a week since 2008 advocating for women’s health, for women to take care of themselves and for women to take care of one another. So, when a friend asked me if I would help support Oxfam America’s International Women’s Day campaign, I couldn’t say no. This year, Oxfam America is hoping that you will help them honor women who have made a difference in your community. Or in your life…simply because women become stronger and more resilient when we support one another. Time and again, I’ve written about how the foundation for the health and wellbeing starts and ends with social support. Indeed, research has shown that women’s innate ability to nurture and nourish ties, coupled with overall satisfaction with work significantly predicts wellbeing especially during midlife and over the menopausal transition. It may even affect how long we live. Nowhere is this more important than in the communities where we reside because as much as many of us complain about how busy we are, there is a deep, soul stroking satisfaction in taking a moment to pause, acknowledge and help one another. Consequently, this week and next, I am challenging you to think about the woman (or women) in your life that has changed your world? Or hers’. And, encouraging you toTo support Oxfam America’s goal to end world hunger and empower women through their GROW campaign. Women are hungry and to combat that hunger. 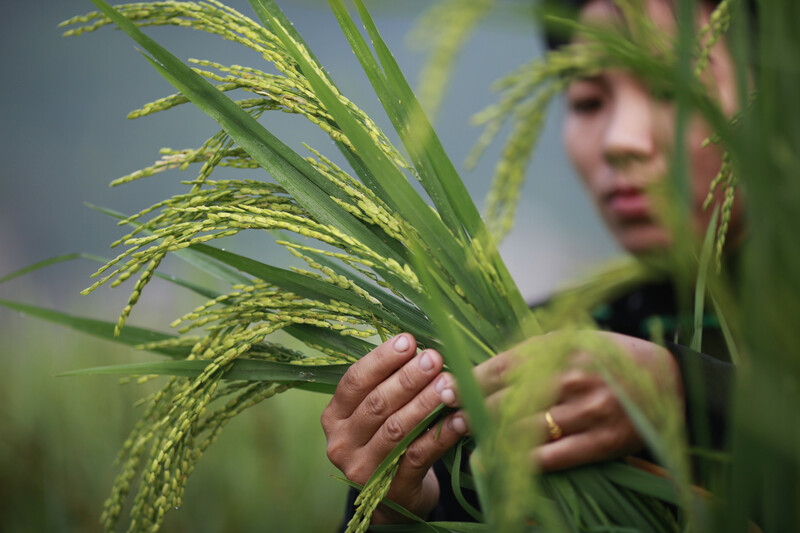 Oxfam’s GROW campaign urges all of us to make smarter investments in small-scale farmers, especially women, whose efforts can help find sustainable solutions to hunger. Women like my oldest and dearest friend, Susan Ujcic, co-founder and co-owner of Helsing Junction Farm in Olympia, Washington. Sending an International Women’s Day eCard to a woman you know, to say thank you for all that she does. Better yet, send it to several women who’ve made the world a better place. Giving the Oxfam America International Women’s Day 2012 award to a woman you think has made a difference to the world. She could be a teacher, your mom, a non-profit leader, a woman entrepreneur, the neighbor who always checks up on you when you’re ill… the possibilities are endless. Joining Oxfam’s Sisters on the Planet initiative. One email, one award, one woman at a time. Imagine the difference a simple gesture can make. Wednesday Bubble: Yes, you can! If you are anything like me, you may not always think you can, even though you are capable, smart and talented. And as women, we often find ourselves questioning our abilities (even though we are capable, smart and talented). For example, when was the last time you asked for a salary increase? Or defended yourself against a bully? Or took the bull by the horns and made that change that you’ve been telling yourself that you are going to make for a zillion months? Well? When? No worries, because I’m not going to go all kumbaya on you. It’s not my style. But I would like to share my own ‘yes, you can’ moment, in hopes that it might motivate at least one person to take the first step they’ve been procrastinating about taking. Let’s talk about taking the bull by the horns, aka, there’s no time like the present. First, a bit of context. The last quarter of 2011 was a trying time for me. Business issues became all consuming, I was traveling a lot, sleeping a little, drinking too much and had swayed from diet. All of which add up to zero. And by the end of this time, I ended up a few pounds heavier, exhausted and truly out of balance. Not a great way to start a new year. And hence, my body revolted, forcing me not only to slow down but to stop entirely; I contracted a viral infection of the inner ear that resulted in terrible vertigo. And if you have ever had vertigo, you know that it ain’t pretty. Or fun. This year, I have made a few promises to myself, mostly, to shed those couple of pounds that are hanging on, improve my eating habits and try the hardest to stay balanced. The latter part of this does not necessarily jive with my A type personality but so far it’s working. But more importantly? Yesterday I challenged myself to run a 10k at the gym. And I completed it in a fairly good time. 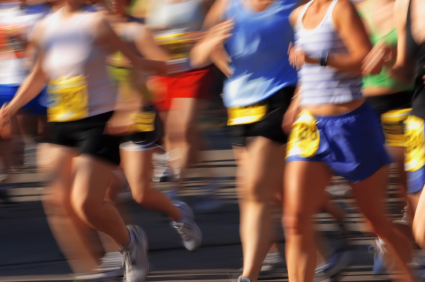 Although once an avid runner, I have not run any admirable distance in decades. And it felt really good, AND dragged me out of the January doldrums. Mostly though? I realized that I can; I can get back into a healthy groove, maintain some calm, rethink where I am in my life right now and if it’s where I want to be. And if not, I can define what’s next on the horizon and work towards making it happen. Because, I can kick it. I can run a 10K if I feel like it. Guess what? So can you. Kumbaya? Maybe a wee little bit. Wednesday? No bubble this week. Just a little inspiration and whole lot of admiration..